How Creating Engaging Content On Social Media Is Translating into 25 Million In Sales On Amazon. Today’s guest on The Expat Money Show is Jim Cockrum. Jim was ranked among the most trusted Internet Marketers in the world, his best selling book “The Silent Sales Machine” has been read by an estimated 800,000 people around the globe. Jim is a constant top 10 seller on Amazon, and along with his two closest partners (Nathan Bailey & Brett Bartlett), run a combined $25 million annual sales empire. You can join Jim’s Facebook group of 48,000 members, where they are always creating engaging content not just about Amazon selling but about internet marketing as a whole. When I heard Jim was going to be on our show I was ecstatic! Jim is such a well-known influencer in the world of Internet Marketing and has such a reputation for creating engaging content I knew our audience would go crazy to hear him. What I found fascinating was that you would think a guy making heaps of money, having over 150 staff, and being in the business for almost 2 decades would have a pretty high opinion of himself, but nothing could be farther from the truth. I’ve got to say that Jim Cockrum has to be one of the nicest, most down to earth guy I’ve ever met. Jim and I dig deep into what it takes to dominate the market with Amazon. We discuss his tactics with Facebook and how their teams’ creativity is unparalleled and how they are selling millions of dollars worth of Toys! We talk in depth about how creating engaging content with something as simple as your mobile phone is beating out the monster brands like Mateel in the toys department. And how they have been able to gets tens of millions of organic views of their products on Facebook. What does a CEO of over 150 employees and $25 Million a year do? How DO you create an 8 figure product line on Amazon? As a lot of our interviews go on The Expat Money Show, we start our conversation talking about family, schooling, and education. For those of you that know me well I am opposed to traditional education as I believe there is a better way to learn, and interestingly enough many of my guests have the same beliefs and even some, like Jim Cockrum, has opted to homeschool his children (all 5 of them). Jim and I discuss why it is so vitally important for the future of our children to not rely on others to teach them. That we just can’t sit back and expect the current social schooling system to teach our children the fundamentals for being a successful human being. That we need to show our children, day in and day out, how to be the best, how to accomplish their goals, and not to have the expectation that they will be able to read a book and then understand it, that we need to be interactive with our children. Jim shares how is 8-year-old son would never ‘expect’ his mom and dad to just pay for something, he reaches inside and figures out a way that he can create a business that will ultimately fund his desires! Wow! If that isn’t motivation for becoming an entrepreneur I don’t know what is. What we learn from Jim is how to be a remarkable parent and how to be the best that you can be so that others will follow your lead. We spend a great deal of time discussing child-rearing tactics and how to lead a fulfilling life. Over and over again my guests show us that it’s not just about making money, it’s about the balance in your life between family and work. And how important this balance is to have a truly successful life. Jim teaches in such an amazing fashion and we can see why he is the best at what he does. If we implement these skills into our everyday life, our outcome is sure to improve. I don’t care and neither does anyone else until you figure out how you’re going to serve others!! Listen in to hear what Jim’s best advice is and what his perspective on growing your business wildly! On The Expat Money Show, I aim to bring in the best Entrepreneurs from around the globe who are doing some really incredible things. Jim Cockrum and his team are one of the very best Internet Marketers with Amazon on the planet! What we learn from Jim’s life and business approach is extraordinary! Jim also shares his Best Advice as a business owner. This alone can save you a ton of money and a ton of time! At the end of my hour with Jim, I had heaps of notes and couldn’t wait to get a hold of the books Jim mentions.  I hope you get as much value from this Podcast Episode as I did… and if you would like to stay up to date with all new content that comes out at The Expat Money Show make sure you sign up for our Newsletter below. Some of my best stuff comes out by email and I don’t want you to miss it!